Not all stress is bad. But chronic (ongoing) stress can lead to health problems. Preventing and managing chronic stress can help lower your risk for serious conditions like heart disease, obesity, high blood pressure, and depression. Stress is different for everyone. Change is often a cause of stress. Even positive changes, like having a baby or getting a job promotion, can be stressful. Stress can be short-term or long-term. What are the benefits of managing stress? Being prepared and feeling in control of your situation will help lower your stress. 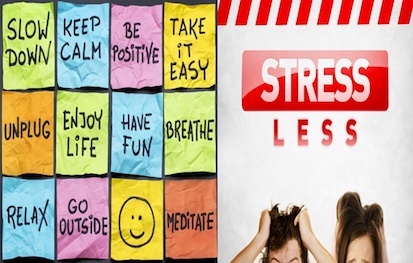 Follow these 9 tips for preventing and managing stress. Think ahead about how you are going to use your time. Write a to-do list and figure out what’s most important – then do that thing first. Be realistic about how long each task will take. Prepare ahead of time for stressful events like a job interview or a hard conversation with a loved one. Picture the event in your mind. Imagine what the room will look like and what you will say. 3. Relax with deep breathing or meditation. Deep breathing and meditation are 2 ways to relax your muscles and clear your mind. 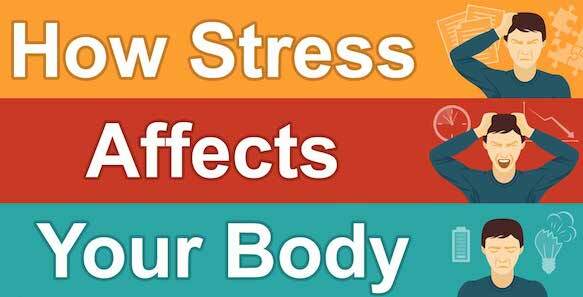 Stress causes tension in your muscles. Try stretching or taking a hot shower to help you relax. Regular physical activity can help prevent and manage stress. It can also help relax your muscles and improve your mood. Aim for 2 hours and 30 minutes a week of physical activity. Try going for a bike ride or taking a walk. Be sure to exercise for at least 10 minutes at a time. Do strengthening activities – like crunches or lifting weights – at least 2 days a week. Give your body plenty of energy by eating healthy foods – including vegetables, fruits, and lean sources of protein. 7. Drink alcohol only in moderation. Avoid using alcohol or other drugs to manage your stress. If you choose to drink, drink only in moderation. This means no more than 1 drink a day for women and no more than 2 drinks a day for men. Tell your friends and family if you are feeling stressed. They may be able to help. 9. Get help if you need it. Stress is a normal part of life. But if your stress doesn’t go away or keeps getting worse, you may need help. Over time, stress can lead to serious problems like depression, anxiety, or PTSD (post-traumatic stress disorder). If you are feeling down or hopeless, talk to a doctor about depression. If you are feeling anxious, find out how to get help for anxiety. If you have lived through a dangerous event, find out about treatment for PTSD. A mental health professional (like a psychologist or social worker) can help treat these conditions with talk therapy (called psychotherapy) or medicine. Lots of people need help dealing with stress – it’s nothing to be ashamed of! Make a to-do list for your day.